Yitzhak Oren (1918-2007) was born in Siberia, Russia. He moved to China with his family as a young boy and lived there until he immigrated to pre-state Israel in 1936. 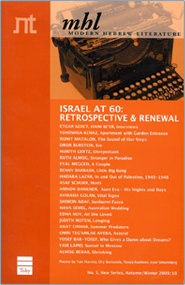 Oren studied literature, philosophy and history at the Hebrew University of Jerusalem. During the British Mandate, he paved roads for the British Army, and became a member of the clandestine Etzel movement. After the establishment of the State, he held positions in various governmental departments. Oren published six books of short stories, four collections of stories and essays, three novels and a book of poetry. He was chief editor of the Russian-language Encyclopedia Judaica. 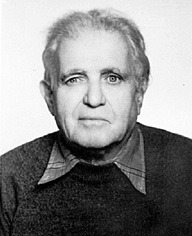 Oren received the Neuman Prize (1989), the Jabotinsky Prize (1999) and the President's Prize (1999).